This is an obscure but wonderful album by Polish Jazz bassist/composer Olgierd Walicki (a.k.a. 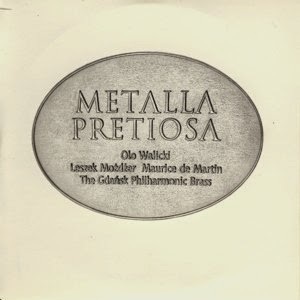 Olo Walicki), recorded in a highly unusual setting of a piano trio accompanied by a Classical brass quartet. 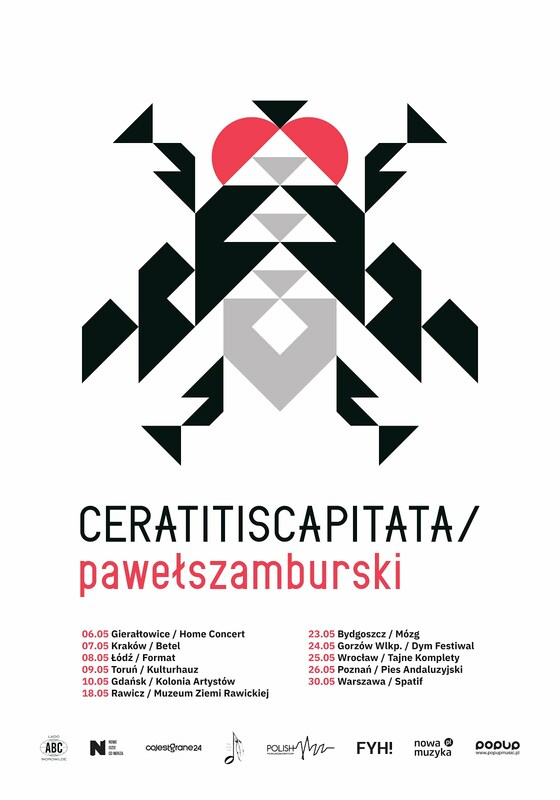 The trio consists of Walicki with pianist Leszek Możdżer and German drummer Maurice de Martin. The brass quartet comprises of four players from the Gdansk Philharmonic. The ensemble performs a six-part suite composed and arranged by Walicki. The music is an unusual Jazz-Classical Fusion piece, which differs from most other attempts to create such cross genre projects. The six musical themes are highly melodic and lyrical, and with the added brass arrangements they all sound like Classical miniatures, but with a twist. There is a lot of humor in these pieces, some of it right in the open, the rest subtly hidden, but always there. This entire project is more a composing and arranging exercise than the usual Jazz oriented performance, as most of the truly interesting stuff happens when the brass is playing or Walicki plays arco. The piano trio parts a bit sugary; probably due to Możdżer's inclination to turn everything into honey (some may use a different word). The drummer is also quite exceptional, moving freely between Jazz, Rock and avant-garde/humorous ornamentations, all beautifully suitable to the music. Overall this is a zany and highly interesting piece of music, which differs from most other stuff and therefore is highly educational. In some respects the Zappaesque atmosphere of this music is quite brilliant. It might be of course dismissed as being frivolous and lacking respect, but in fact nothing could be further from the truth. Walicki keeps the listener in suspense till the very last moment of this album (I won't spoil the surprise), when the tongue-in-cheek irony is fully revealed. In any case this is definitely an album worth hunting for and investigating.